A couple of days before the new Wu-Tang album dropped, G-DO was inspired to hit the lab and in two days sent Hermetic Chambers to Xception, at home from Amsterdam visiting Chicago for the holidays. Xception went to work immediately, writing the album from top to bottom in the following two weeks. The result is here for your listening pleasure. Cop the new album for name-your-price download over at G-DO & Xception's Bandcamp here or click on the album cover below. 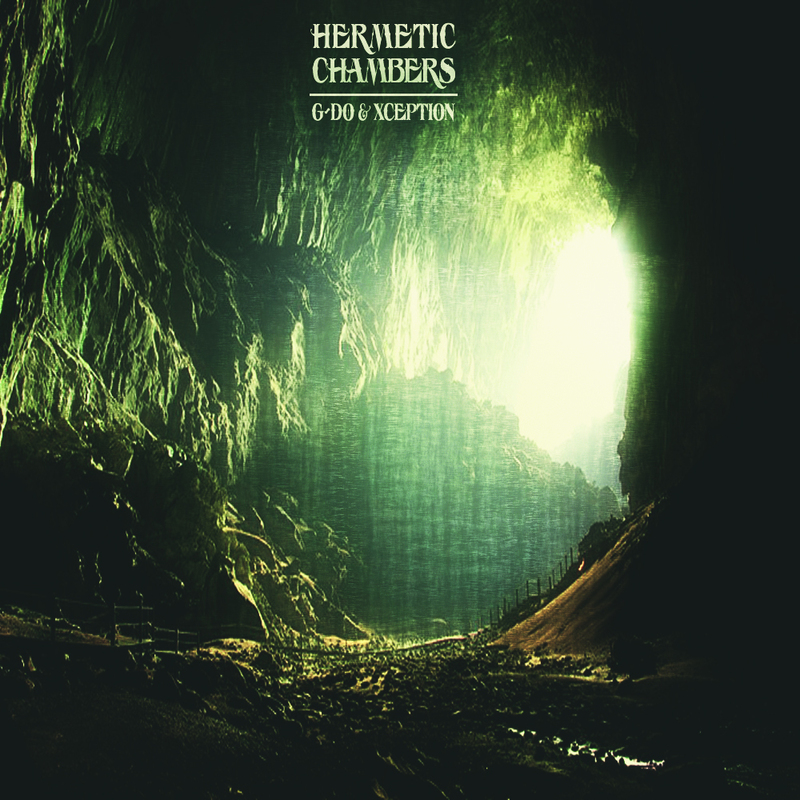 Posted on January 9, 2015 by Donnie and filed under Downloads, Music and tagged Hermetic Chambers G-DO & Xception Album Chicago Hip Hop download name-your-price Amsterdam Goal Music Group. Posted on September 22, 2014 by Donnie and filed under Acoustic, Live, Music, Performance, Video and tagged Eric Ian Farmer Mask Live Acoustic Singing Singer/Songwriter. Check out The Soul Travelers acousticly performing "What I Am" for Sofar sessions in Cafe Ruimte in Noord Amsterdam. Sofar knows how to bring together a group of music lovers and those who love to share music, so the vibe was electric. Check the video below (lyrics below the video), listen to some more of Sofar's sounds from around the globe and be sure to find out about the next Soul Traveler's show here. Peace. Posted on September 17, 2014 by Donnie and filed under Acoustic, Performance, Video, Live, Music, Lyrics and tagged The Soul Travelers SoFar Amsterdam Chicago Rap Acoustic What I am. Gone Fishing catches G-DO & Xception reachign for your heart through lyrics and your soul through sound. The track is a surprise of sound that's too good to spell out here. Hit play and travel through G-DO's sample driven soul influences and Xception's raw emotion as they take you on a trip fishing for balance. THE TRACK IS AVAILABLE BELOW, ON THE G-DO & XCEPTION BANDCAMP PAGE (limited time free download), ITUNES, AND SPOTIFY. STAY TUNED HERE AND TO THE DUO'S FACEBOOK PAGE FOR MORE AS WE MOVE CLOSEr TO THE RELEASE OF 2030. Posted on September 9, 2014 by Donnie and filed under Downloads, Music and tagged G-DO and Xception 2030 Goal Music Group Chicago amsterdam Hip-Hop Soul. "I Wish" is the first single from G-DO & Xception's new album 2030. "I Wish" initiates the listener through a burst of kicks keeping the pace, laced with an eerie bass and graginharp (created in 2022) to create a deep groove of movement and attention. Xception is right there from the first beat almost daring you to come along on the ride. Immediately, his flow hits as hard as the beat, but like the beat, falls into a brooding groove and carries through with a collage of 2030’s trip straight through the end of the track - when the transmutation actually begins. The track is available below, on the G-DO & Xception Bandcamp page, iTunes, and Spotify. Stay tuned here and to the duo's facebook page for more as we move closer to the release of 2030. Posted on August 12, 2014 by Donnie and filed under Downloads, Music and tagged 2030 G-DO & Xception I Wish Hip Hop Amsterdam Chicago. Check out a medley of Shishani giving a stellar performance to a packed crowd at The Sugar Factory as she opened as the support act for Scott Bradley. Posted on June 27, 2014 by Donnie and filed under Live, Performance, Music, Video and tagged Shishani The Sugar Factory Goal Music Group Scott Bradley Amsterdam. This past friday, Febrauary 28th, The Soul Travelers (G-DO & Xception + Bernt Nellen + ?) had their first full live set at The Mixtup Project in Amsterdam, NL. The band served up a tight ten song set for the attentive and close crowd and it couldn't have gone much better. Stay tuned for more shows and releases from The Soul Travelers. Posted on March 3, 2014 by Donnie and filed under Acoustic, Live, Music, Performance, Video and tagged Soul Travelers Soul Traveling G-DO & Xception Bernt Nellen The Mixtup Project Amsterdam Live Acoustic Rap Pandero. Another capture from Shishani, Bernt, Guido, and Donnie aka We're Still Working on a Band Name. Check out Road to Grow, performed and recorded from Caroline's kitchen in Swakop, Namibia. Something is being cooked up with this crew and we're excited to see/hear the rest. Posted on February 6, 2014 by Donnie and filed under Music, Performance, Live, Video and tagged Road to Grow Shishani G-DO & Xception Donnie Bernt Nellen The Journey Namibia Amsterdam Soul Hip Hop Folk Acoustic rap. Shishani is back and this time she's with The Dub Colours ( Vangelis Kalamaras [drums], Emilios Bariabas [bass], and Ernst Vranckx [keys])bringing you a live version of Minority recorded at the incredible Sierra Studios in Athens, Greece. Get to know these folks and stay on the lookout for more videos and releases from Shishani and The Dub Colours. The song is available on iTunes. Posted on February 6, 2014 by Donnie and filed under Music, Video, Performance, Live and tagged Shishani and The Dub Colours Shishani Minority Soul R&B Jazz Live Greece Namibia.